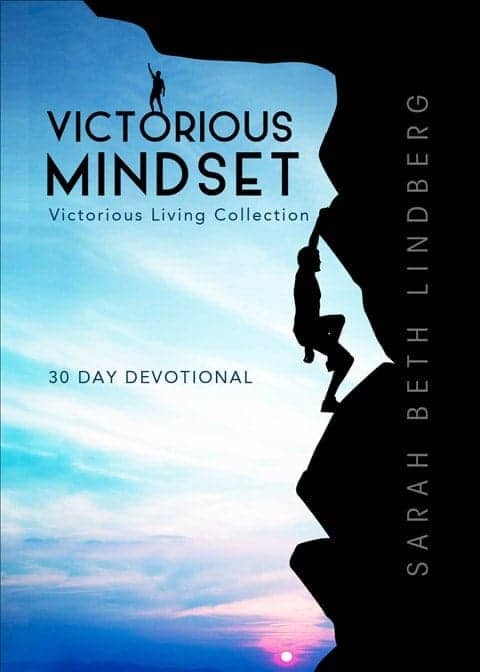 A 30 Day Devotional, Victorious Mindset is a book designed to help you overcome the battles that take place in your mind. Jesus said that His followers would worship Him “in spirit and in truth”. Learn how your thinking patterns can help you enter into a deeper relationship with Christ and how being a believer offers the promise of a sound mind. This is one of my favorite daily devotionals! I love picking it up at any point in the day knowing it will point me straight to God and His wisdom! Sarah is a fantastic writer and you can see such inspiration from God’s word in her books! Christ Jesus, our great mighty Victor. I have gained so much help and encouragement from all of Sarah’s books. She is a very gifted writer who desires to be a useable vessel by helping others grow in their relationship with God. Victorious Mindset addresses the needs of people who desire a closer walk with Christ, yet struggle against the flesh…which is all of us! Soundly rooted in Scripture, this devotional is for anyone who wants to overcome a negative thought life and submit more fully to the Lord. I was greatly blessed by it! Victorious Mindset is a devotional that I continuously look to for guidance and light in times of uncertainty and worry. Sarah uses some of her own personal examples of how she lives out God’s word as well as scripture and ideas of how ‘if we ‘trust in him and acknowledge him, he will make our paths straight!’ Each devotional explains how our minds can be the tool to walk closer to Christ, and to live out his word in our actions and in prayer. Victorious Mindset has some very powerful tools to use as we face life everyday and the battles that continue to come. It teaches if we have our minds set on the things of God instead of this world we can be victorious. We can take charge of our thoughts and glorify God in all we do! Love this devotional collection! I am always brought back to a place of peace and realignment with the LORD (an eternal focus) when I read this devotional. It combines shared testimonies of Gods goodness in Sarah’s own life, with the meat of the Word, a concluding prayer and a quote. Love this collection! Victorious Mindset has been a powerful tool in my life. When I am struggling to keep focused on things of the Lord, I pull out this “tool” and fix my mental perspective. 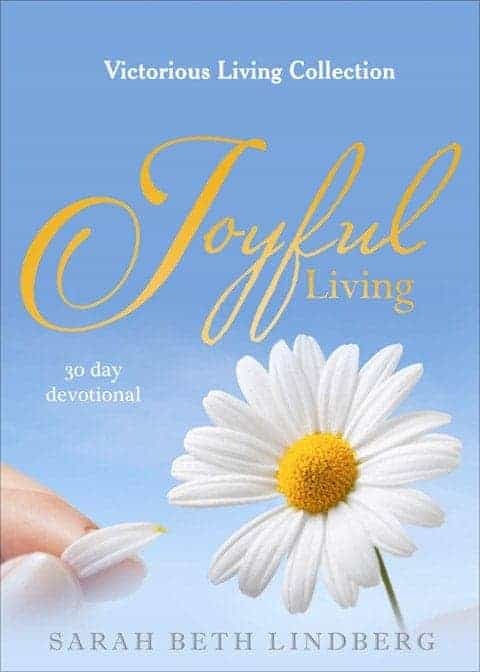 The Lord has used this insightful devotional to keep me positive, joyful while reminding me I have a awesome Lord who wants me to live a victorious life as a woman, wife, mother, grandmother, friend, daughter and child of the living God. Thank you Sarah for being obedient to your calling and listening to the Holy Spirit’s direction in writing this devotional. Victorious Mindset is a daily dose of solid spiritual truth. I found it to be a peaceful and positive supplement to my regular time with the Lord. 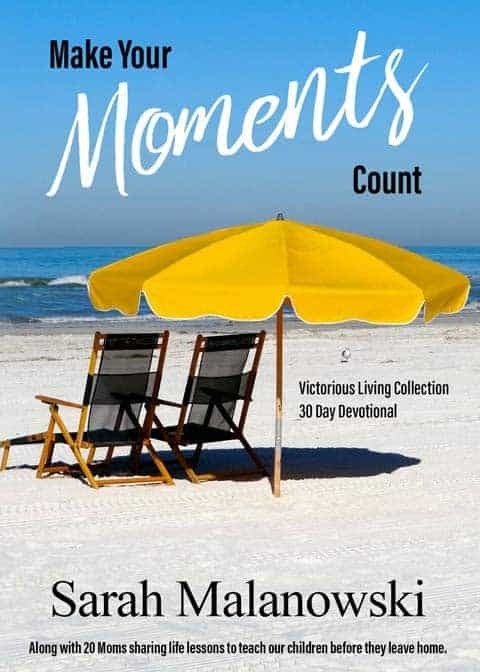 Each day’s devotional is presented as a portion of scripture, a commentary, a prayer, and a quote, all designed to bring to remembrance the truths that set us free. Since our thoughts are where the seeds are planted that eventually grow into actions either good or bad, a gentle reminder from Sarah’s book of “whatever things are true, whatever things are honorable, whatever things are just, whatever things are pure” is a great way to begin and/or end the day. This devotional HAS given me a more victorious mindset. I was really struggling with anxiety and fear and this devotional has helped me to overcome that. I look forward to reading it every morning with the scriptures right next to me. I love to read the scripture that the author includes for each day/topic. The author writes with such grace and transparency. I highly recommend this devotional!!!! Victorious Mindset is a wonderful book. Life changing! After 30 days, I do have a victorious mindset! I am living in the moment more often, instead of looking into the future. God gives me grace for today and tomorrow He will give me grace for that day. Thank you Sarah! I would like to thank Sarah and “God is Always Faithful” for providing an excellent devotional “Victorious Mindset” a 30 day devotional! This is more than just a devotional, every devotional day is permeated with God’s word and prayer. This isn’t a feel good in the flesh book, in the sense that it will lift you up and make you happy in your flesh and self esteem, no it will shoot you up like a rocket with the combustion of God’s Word and how God see’s us and how we should see ourselves because of what Christ did for us (not what we did or could do for ourselves in the flesh). It also equips us to stand strong in our faith by taking our every thought captive and obedient to Christ, this is key since we can battle with our thoughts on a daily basis to the point of disabling and allowing ourselves to stop moving forward from our God given calling and purpose. I would highly recommend this book for your personal walk, group setting, or even for Christian counseling. This book is very encouraging and straight to the point. I was struggling so much because my family was getting through a rough patch. But I picked up this book and it made a total change in my day. I felt relieved to know that God has everything under control and that I need to change my mindset to a healthy one with God and from a negative one because of my problems. 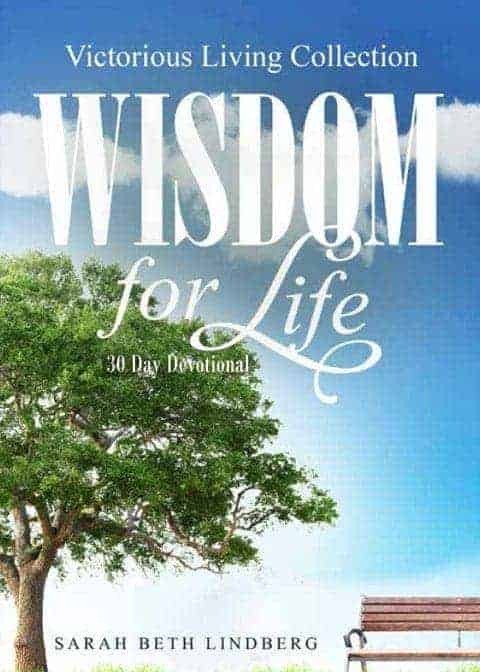 This devotional covers many different areas and thoughts of life, and is perfect in addressing every single one. Brings my focus back to God despite my daily struggles. Sarah is an amazing author. I am completely encouraged by this collection. This is hands down the BEST devotional I have ever read. I have been eternally blessed by Sarah’s writing and hearing God speak through her. 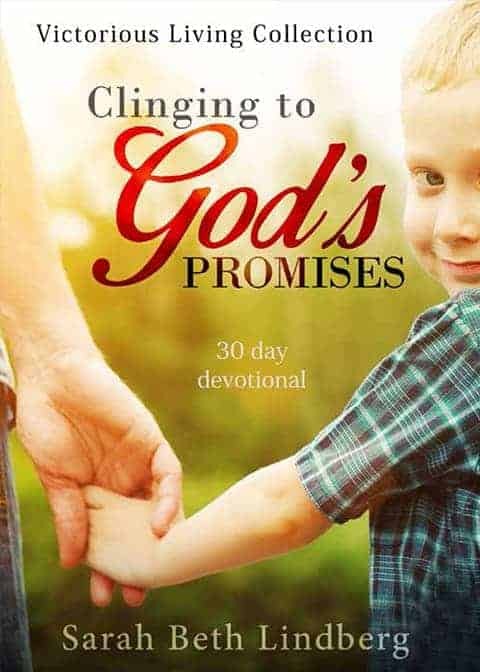 Although, it is a 30 day devotional it can be read over and over again or started out on any day. I highly recommend this book!